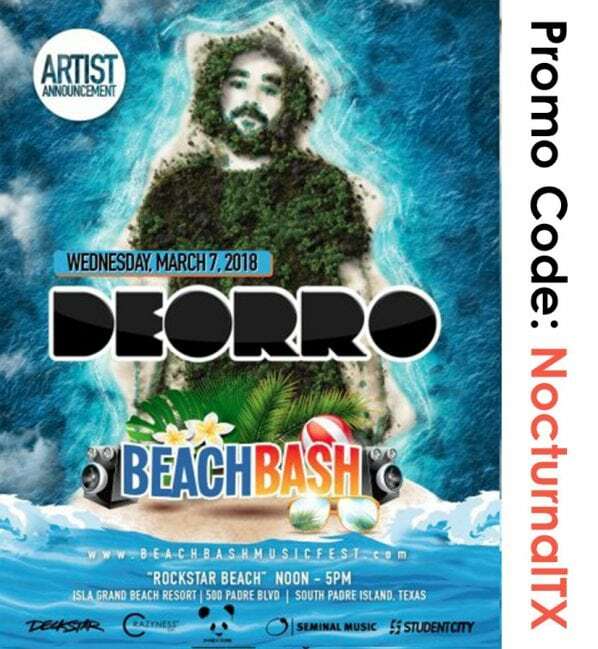 Beach Bash Music Fest 2018 Promo Code NocturnalTx South Padre Spring Break. 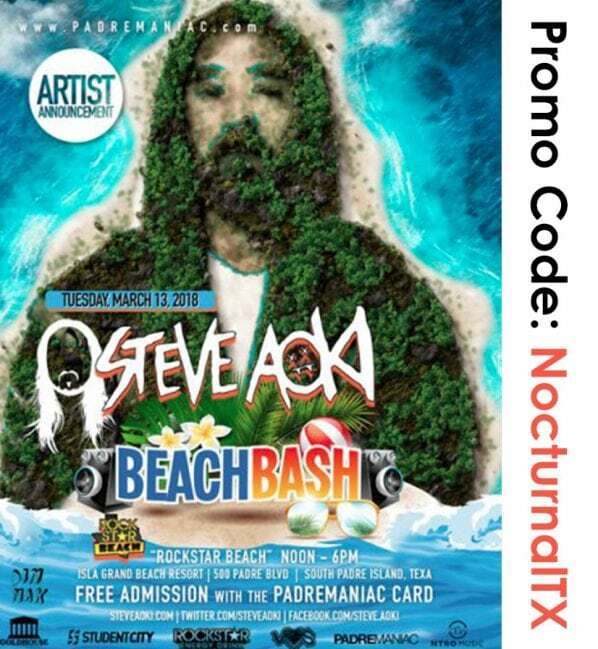 Get your discount passes into the biggest music fest in South Padre. 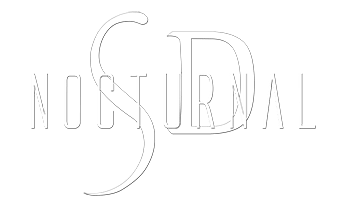 Enjoy beach party with all the hottest people. 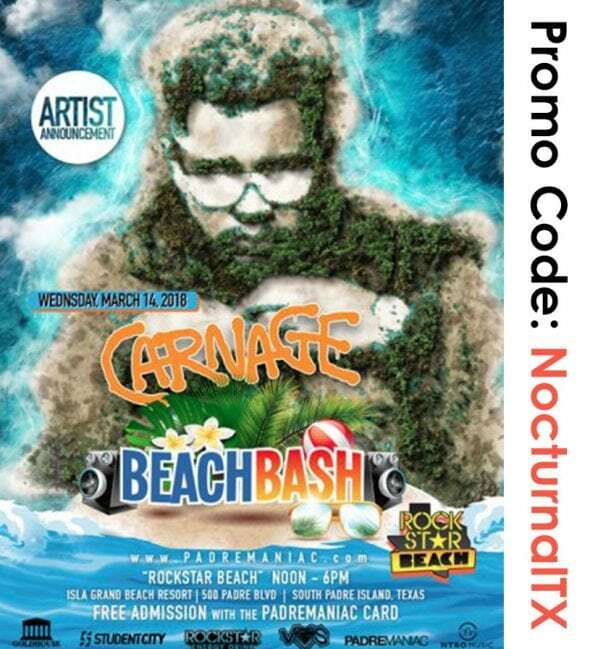 Let yourself enjoy some of the biggest names in music this spring in South Padre Island. 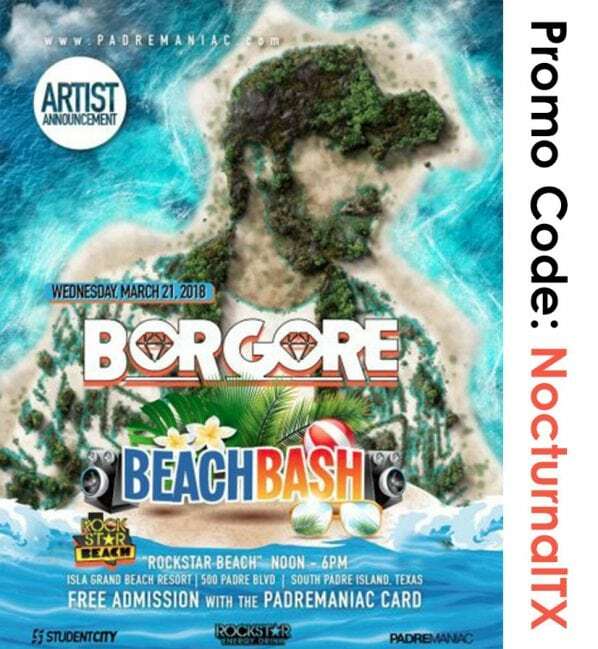 Borgore Beach Bash South Padre 2018 will be performing on March 21st 2018. 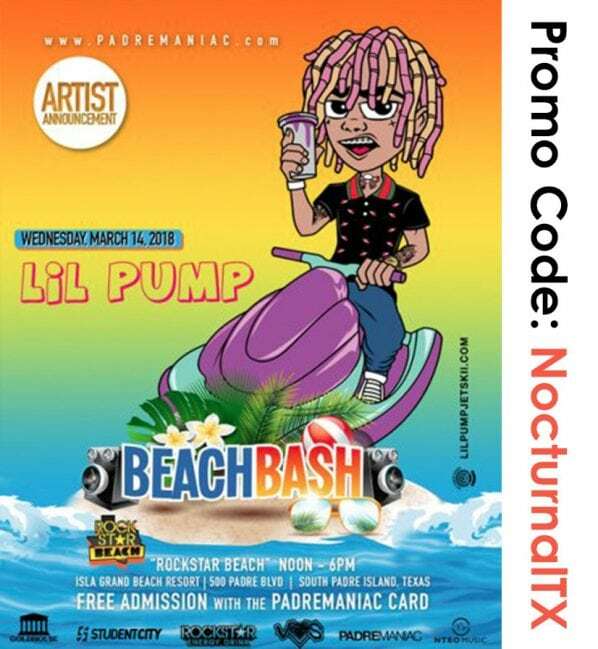 Lil Pump Beach Bash South Padre 2018 will be performing on March 14th 2018. 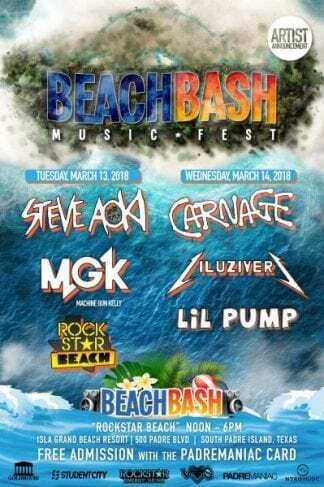 WIN A FREE VIP SUPER PASS TO THE BEACH BASH MUSIC FEST IN SOUTH PADRE ISLAND! 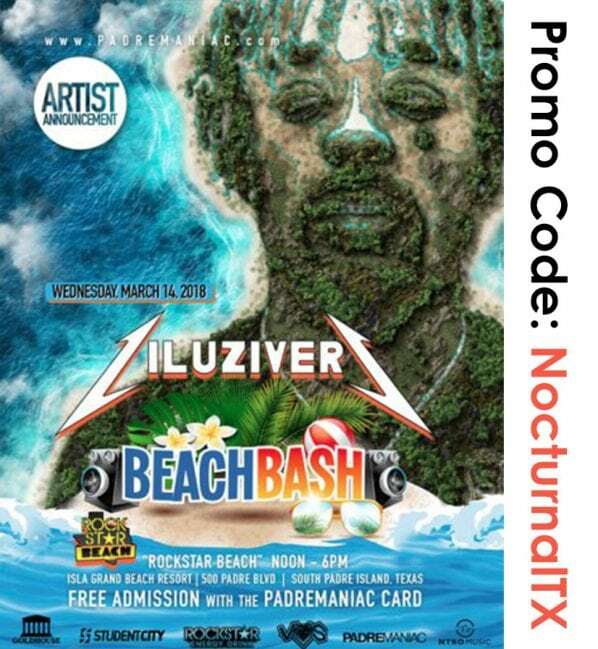 Texas Beach Bash Party 2018 happening March 2018. 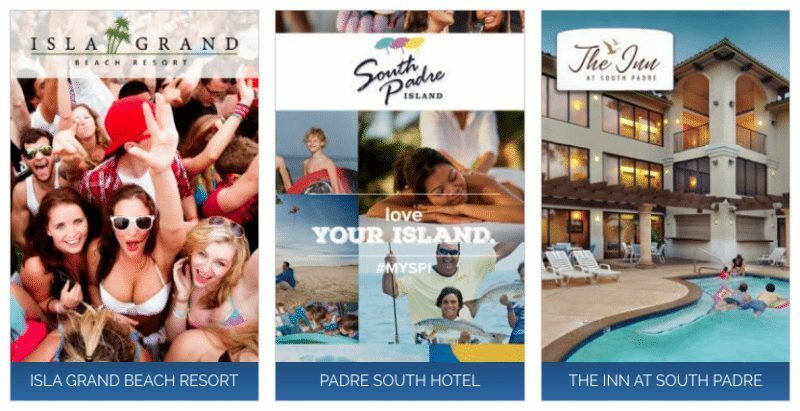 Please see 2018 South Padre Lineup for details.